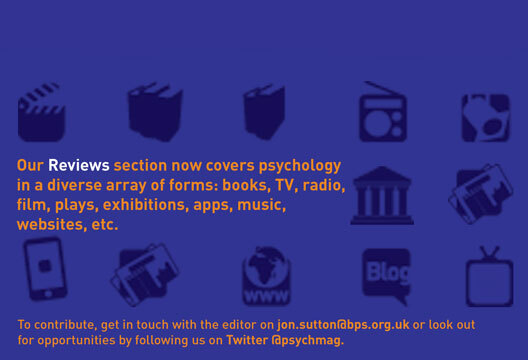 Forensic Psychology: The Basics has the perfect title, as it is just that. It starts from the very beginning talking about the history of the topic and goes all the way to present-day research in as little as 211 pages. There were certain things that I was hoping for in this book and it did not let me down. It gives you a simple yet in-depth look at all the key areas and people involved in forensic psychology, drawing upon real-life cases, such as that of ‘Yorkshire Ripper’ Peter Sutcliffe, to illustrate the points, this book is extremely well written and an highly interesting read. I particularly enjoyed the chapter on the different perspectives, it was interesting to read about evolutionary psychology and how this related to forensic psychology as I hadn’t considered these before. However, this book doesn’t only talk about what forensic psychology is, but it also about what it isn’t, it deals with the misconceptions and the different areas that it relates to such as crime scene investigation. Overall, I would recommend this book both to someone who has no knowledge of the subject and someone who loves the subject; it is informative yet concise. This would be absolutely perfect for a student studying forensic psychology, like myself, as I have found this a really helpful introduction to the area. Like its elder sister, Little Box of Big Questions, the No. 2 version comes in a tin box and contains cards that are set out in an inviting format. The ‘Big Questions’ it contains can be used either with an individual young person, or possibly more effectively in a small group, where the intention is to discover links between the attitudes and beliefs that children have, about themselves, their peers, their home life, the school experience and their future. How to Be a Researcher has a misleading title: it would be better as How to Be a Researcher in Psychology. Indeed, it is the second edition of the author’s (2005) How to Do Research: A Psychologist’s Guide but written with a very different emphasis. Evans is a retired (but active) emeritus professor of psychology so, although we differ in the kinds of psychology that we do, we share many concerns and experiences. I certainly resonate to the title of this text – there seems to be little published on how to be a researcher in psychology, although there is plenty available on how to do research. The text has one introductory chapter, and seven on topics such as the relationship between theory and practice, research and teaching, collaboration and supervision, obtaining research funding and communicating research. There are two concluding methodological chapters (i) on hypothesis testing and reasoning, and (ii) on statistical inference. Each chapter concludes with a set of ‘key points’, and there are two pages of ‘final thoughts’ about the pros and cons of life as an academic researcher. Well organised, thoughtful and thought-provoking, I strongly recommend this text to postgraduates in psychology. It drips with experience and is bang up to date. Alongside relatively glamorous aspects of organisational behaviour such as leadership, adaptation and resilience, planning can appear rather dull by comparison. Yet, as many examples from recent and distant history show, a sound plan can make the difference between success and failure – or, at least, reduce one’s reliance on luck or heroism to save the day. So, argue Mumford and Frese, occupational psychologists should understand how to foster effective planning in organisations. Hence their volume, which aims to provide an insight into planning behaviour at both managerial and individual levels. The first thing that is likely to strike the reader is the book’s impressive scope; over 17 chapters the contributors bring together various perspectives on planning. These range from the cognitive and social processes involved in planning, through the effect of ‘state and trait’ individual differences, to the relationship between planning and organisational performance. Each of the topics is given fairly detailed coverage by its respective chapters, and is informed by contemporary psychological insights, such as action regulation and implementation intentions. While much of the focus is on theories and research findings, the authors also draw out practical implications for organisations such as training and development strategies and aids to planning. With such an expansive treatment of the subject matter though, there is a lot to take in and I found it a formidable read. What would have helped, I think, is a simple overarching concept of planning upon which to hang the different lines of inquiry. In addition, the key points for researchers and practitioners are not immediately apparent – they are there, but will need a bit of work on the part of the reader to pick out. This book provides much to consider about an easily overlooked but clearly important topic in organisational behaviour. Those who are concerned with the investigation of, or interventions to improve, performance in organisations are recommended to check it out. Living in an increasingly atheistic world where mysticism is replaced by science, it is easy to forget a time when our inner workings were attributed to divine creation. George Makari’s Soul Machine serves as a comprehensive reminder of the pioneering ideas of early theorists. Examining over 150 years across three centuries, Makari constructs a narrative of how the mind developed from a supernatural to a mechanical entity – from soul to machine. The works of philosophers, religious thinkers, scientists and physicians are amalgamated to create a full account of the early paradigm shift in theories of the mind. What’s more, Makari achieves this by writing in an engaging and often humorous style that is extremely well researched. A phenomenal amount of supplementary yet fascinating information is provided along with the underlying psychological and philosophical theory. What results is a textbook that reads more akin to a non-fiction story. It’s possible that the extensive amount of information provided might overwhelm some readers who are less concerned with past theory. However, for anyone who is keen to research the all too often overlooked foundations of our modern concept of the mind, you would be hard-pressed to find such a detailed account as that found in Soul Machine.